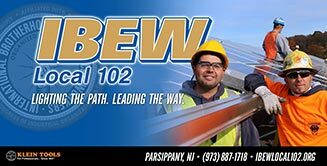 The Collective Bargaining Agreement, by and between Local Union 102 of the International Brotherhood of Electrical Workers and the Highlands Division of the Northern New Jersey Chapter, Inc., National Electrical Contractors Association, is available to all members upon request. The current agreement expires May 31, 2019. Please fill out the form below to request a copy.